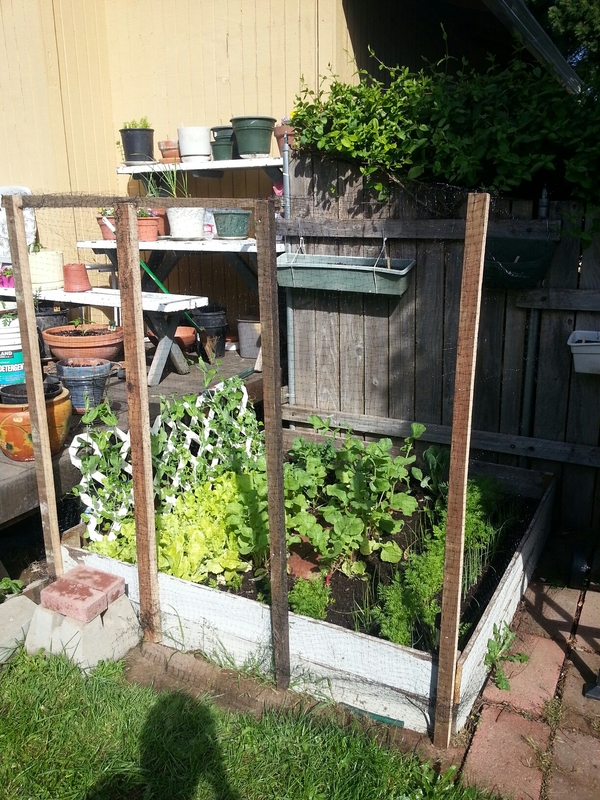 I went out to feed the chickens this morning and decided to let them out of their run since I finally got some bird netting around my small garden. 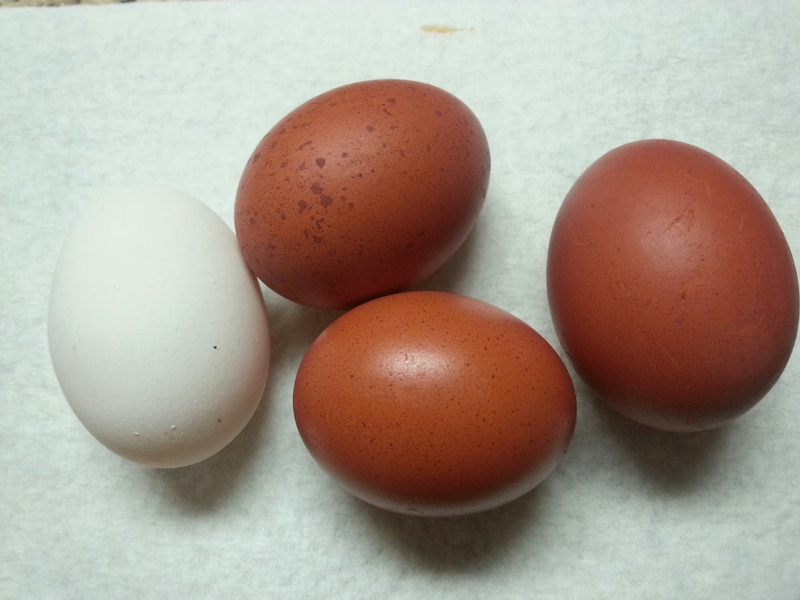 The three hens who were not busy laying quickly headed for the compost heap on the other side of the yard. I put some feed out for them in their run and made sure they had water, but I had forgotten to bring out the kitchen scraps. 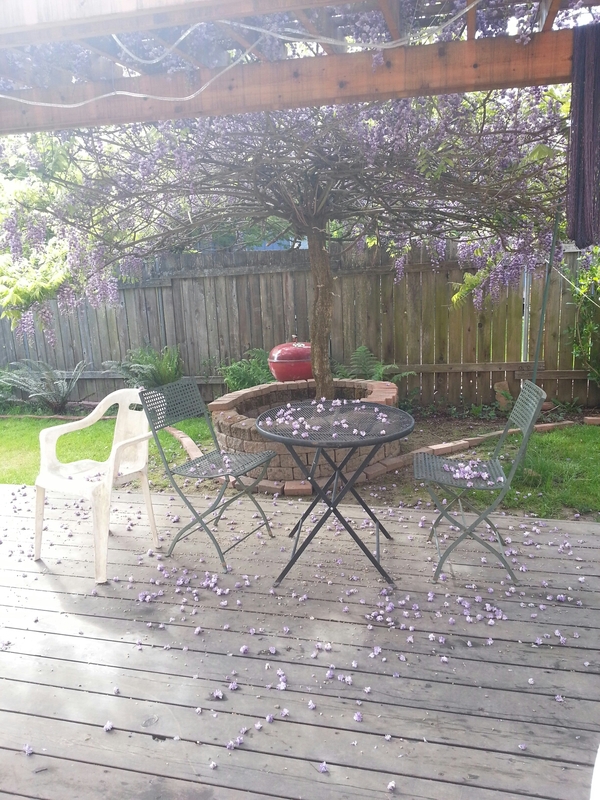 I brought those out and emptied them in the big tray in their run and then went to stand on the back deck admiring the wisteria. Soon, however, Scaredy hopped up an the deck with me. I shooed her off. Then Pepper hopped up. I shooed her off. Then either Sugar or Salt (don’t know which is which) joined the crowd, and I think Scaredy jumped back up as well. What are these chickens doing? They hardly ever come up on the deck, and here they were, all very insistent to join me up there. Over and over, no matter how many times I chased them off. Just to test my theory, I walked over to the compost. My three groupies followed me. I walked across the yard and they quickly made their way over. That’s right, I realized I was still holding the scrap bucket! But they didn’t know it was empty. They kept waiting for me to empty out it’s bountiful goodness. 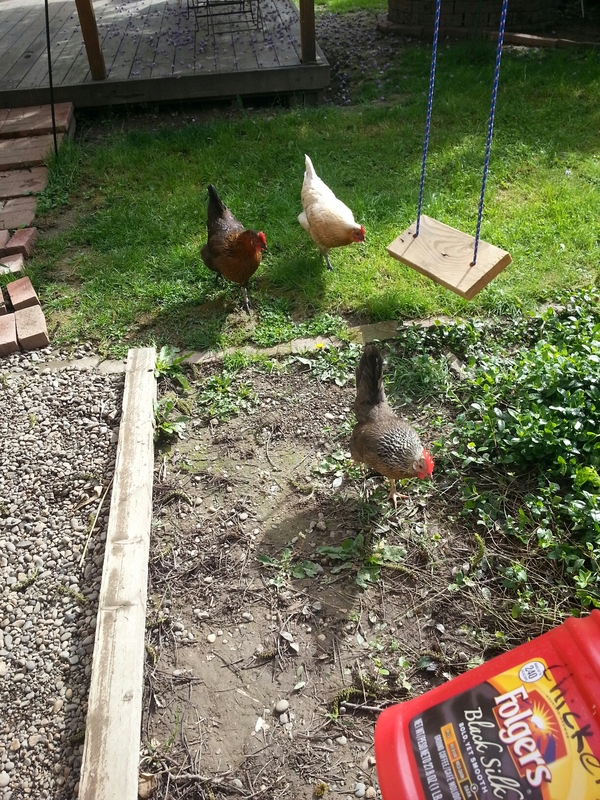 So, I walked to the chicken run where I had already dumped the contents and in no time at all, the girls were happily munching on radish and carrot tops from the garden. As I walked away with the bucket in hand, no one followed me. They had gotten what they wanted. My groupies no longer cared about me. And look how dark those brown ones are. Absolutely beautiful! 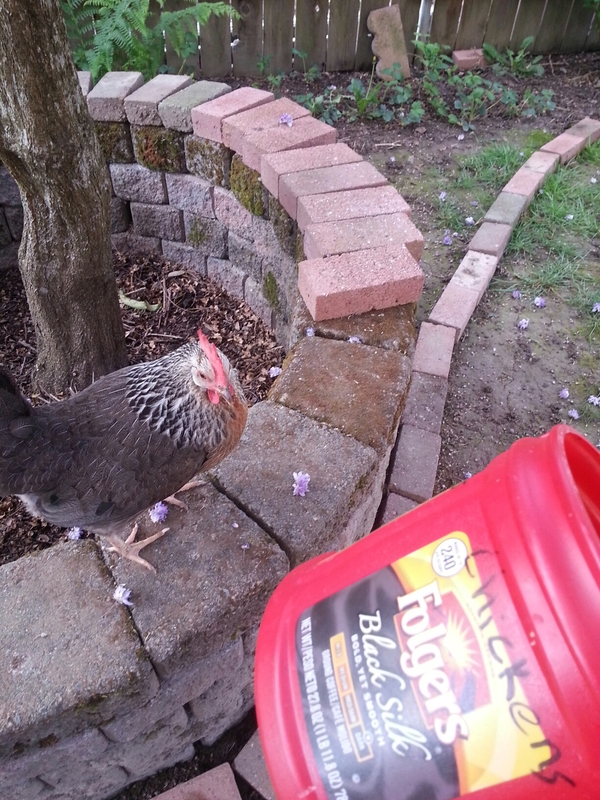 This entry was posted in Portland Interlude 2014-2016, Urban Farming and tagged Backyard Chickens, Chickens, Eggs, Hens, Urban Farm on April 29, 2015 by Maridy.